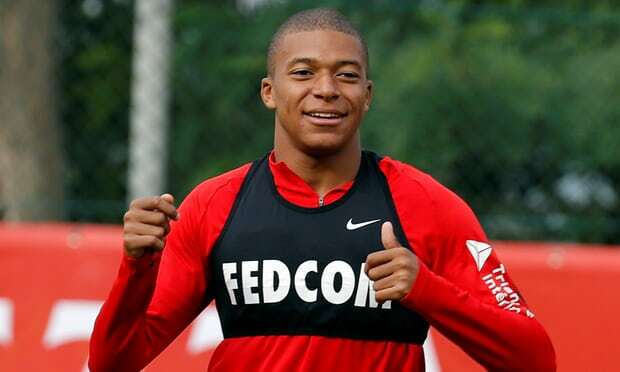 Paris Saint-Germain have reached a deal with Monaco to sign Kylian Mbappé on loan for one season with an option to sign the 18-year-old for €155m (£143m) plus a series of add-ons that could see the transfer cost a total €190m (£175m). PSG have been locked in talks with Monaco and Uefa over the past week to try to reach a deal that would not contravene financial fair play rules after they signed Neymar from Barcelona for €222m (£198m) earlier this summer. On Sunday night PSG concluded a deal in which Mbappé would join the club on an initial loan but without an obligation to buy. Both clubs are in agreement that the transfer will go through next summer but that is not believed to have been written into the loan deal. PSG are expected to pay a significant loan fee for a player who took Ligue 1 and the Champions League by storm last season. It is understood the transfer will get the green light from Uefa. Mbappé has already agreed a five-year deal with PSG and is ready to have a medical in the capital on Monday. PSG were sanctioned for breaking FFP rules in 2014 after a sponsorship deal, arranged with Qatar’s tourist body, was deemed to have been of insufficient value to match the £167m PSG received for it. Manchester City, also in 2014, were fined €60m (£55m) and told that instead of naming a squad of 25 players for the Champions League the following season they could name only 21, with eight of those homegrown. FFP was introduced by Uefa seven years ago to stop clubs involved in European competition from spending more than they earn. The basic principle is that, beyond a small loss currently set at €5m (£4.6m) over three years, clubs’ outgoings must match their incomings. Since then, as well as exempting any expenditure on infrastructure or youth development, Uefa has also allowed owners to spend an additional €30m of their own money over a rolling three‑year period. Monaco have already sold several members of their title-winning squad with Bernardo Silva, Tiémoué Bakayoko and Benjamin Mendy all joining Premier League clubs.